Health secretary Jeremy Hunt has been urged to launch an independent inquiry into Croydon University Hospital over its treatment of a whisteblower doctor. The call came as it emerged board members at Croydon Health Services NHS Trust, which runs the hospital, were under investigation by the Care Quality Commission (CQC) over the 2012 sacking of consultant cardiologist Kevin Beatt. Croydon Employment Tribunal ruled in November that the trust had sacked Dr Beatt amid a calculated attempt to destroy his reputation after he raised concerns about patient safety, workplace bullying and inadequate equipment. Despite the damning ruling, which criticised the trust’s former and current chief executives and found “no evidence” for allegations of gross misconduct levelled at Dr Beatt, the hospital hired a £5,000-a-day QC to appeal the judgment. But the Employment Appeal Tribunal today outright rejected the appeal, which it said had no grounds or chance for success. However, Croydon Health Services this afternoon insisted legal proceedings were not yet complete and said it would continue to pursue the appeal. It declined to give further detail, but the trust has the option to appeal the latest ruling. The appeal’s rejection is likely to add weight to calls for the health secretary to intervene in the case, which has cost the trust more than £130,000 in legal fees. In a forthright letter to Mr Hunt, sent before the appeal was rejected, a respected paediatrician who last year helped to secure a public inquiry into the mistreatment of NHS whisteblowers condemned “the waste of such huge sums to save the necks of errant NHS managers”. David Drew, himself a whistleblower sacked by Walsall Healthcare NHS Trust in 2010 after raising concerns about the effects of cost-cutting, wrote: “Dr Beatt’s case is categorically not an employment dispute. His bona fide whistleblower status has been certified by an employment tribunal. The letter, published in full below, also questions why Croydon Health Services chief executive John Goulston and predecessor Nick Hulme, who now heads Ipswich Hospital NHS Trust, remain in their positions. He adds: “Dr Beatt acted in the best interests of his patients and in line with his ethical professional obligations laid down by the General Medical Council. The tribunal’s judgement makes this clear. 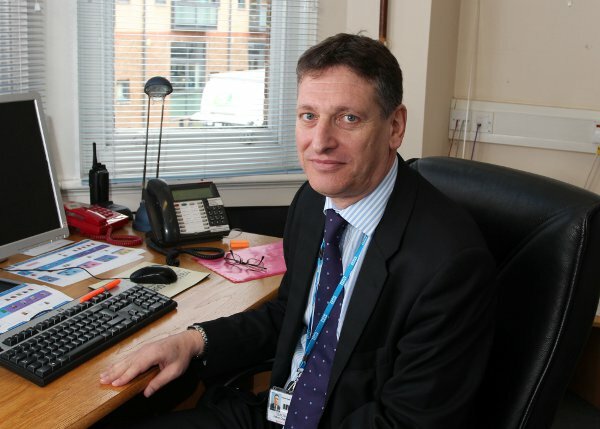 The Croydon Guardian understands that four current and former Croydon directors will be among the first senior NHS managers to be assessed by the CQC under a new”fit and proper person” test introduced in November. Under the regulations, introduced in October, directors can be deemed “unfit” to sit on boards if found to have been involved in “serious misconduct or mismanagement”. The CQC would not confirm details of its investigations, but the Health Service Journal reported last week the regulator had received more than 20 referralssince November. Fit and proper person tests were a key recommendation of Sir Robert Francis’s report on the Mid Staffordshire inquiry, which exposed serious care failings at Stafford Hospital. Sir Francis was also chaired the review into NHS whistleblowers and is expected to publish his report in the coming weeks. Dr Drew’s case was one of several examined in the review. He was sacked for “gross misconduct and insubordination” in 2010, leaving his 37-year career in tatters, after emailing a Christian prayer to colleagues. He had previously raised serious concerns about the running of Walsall Manor Hospital following the death of a baby patient. His case contains similarities to that of Dr Beatt, who was branded “vexatious and calculated” for criticising managers at Croydon University Hospital over the death of patient who died during a routine operation. The Department for Health has not yet responded to Dr Drew’s letter or an enquiry about it from the Croydon Guardian. Re: Dr KJ Beatt v Croydon Health Services NHS Trust. The Employment Tribunal has ruled in favour of Dr Beatt in a comprehensive 200 page judgement. He was unfairly dismissed for making protected disclosures. The tribunal even judged the Trust’s referral of Dr Beatt to the GMC as a detriment i.e. a result of his making protected disclosure to the coroner. The judgement is not complimentary in its comments on witnesses put up by the Trust including Chief Executive John Goulston and his predecessor Nick Hulme. Sir Robert Francis QC made it clear to the Health Select Committee in February 2014 that NHS leaders and politicians are now perfectly aware of what is happening to NHS whistle-blowers. He expressed his own opinion that Chief Executives caught supressing whistle-blowers should be dismissed. I am not certain why these two Chief Executives are still in post. The Trust is now appealing the tribunal’s decision and has engaged a hugely expensive legal team to represent it. This can serve no purpose other than to further drain the already over-stretched local health economy. Dr Beatt acted in the best interests of his patients and in line with his ethical professional obligations laid down by the General Medical Council. The tribunal’s judgement makes this clear. John Goulston and his board are spending taxpayers money to defend their own decision to sack a senior consultant whistleblower. This cannot be right. In a Daily Mail article of 8 March 2014 it was reported that you had intervened at Royal Wolverhampton Hospitals NHS Trust after allegations that Chief Executive David Loughton had threatened a staff member for raising concerns about data fiddling. It was reported that the NHS Trust Development Authority would conduct a “speedy independent investigation”. David Loughton, incidentally, is the Chief Executive who acted against consultant whistleblower Raj Mattu. Mattu, a senior cardiologist like Beatt, won his case at the employment tribunal last year. This has already cost Coventry and Warwick NHS Trust more than EIO million with another E6 million at risk at Mattu’s remedy hearing. At a time when the government is already restricting spending on the NHS the public will be dismayed by the waste of such huge sums to save the necks of errant senior NHS managers. I am afraid the board at Croydon Health Services is heading down this very route. For many years NHS whistle-blowers have been told by politicians that they will not intervene in what are seen as employment disputes. As you well understand it is now established that some NHS managers, with the help Of expensive lawyers and at tax-payer expense, engineer employment law cases against whistle-blowers. But Dr Beatt’s case is categorically not an employment dispute. His bona fide whistle-blower status has been certified by an employment tribunal. It would seem right therefore for you to intervene immediately and halt Croydon Health Services appeal before another penny is spent. We then need a fully independent inquiry into how the Trust board conspired to ruin the career of an excellent doctor.